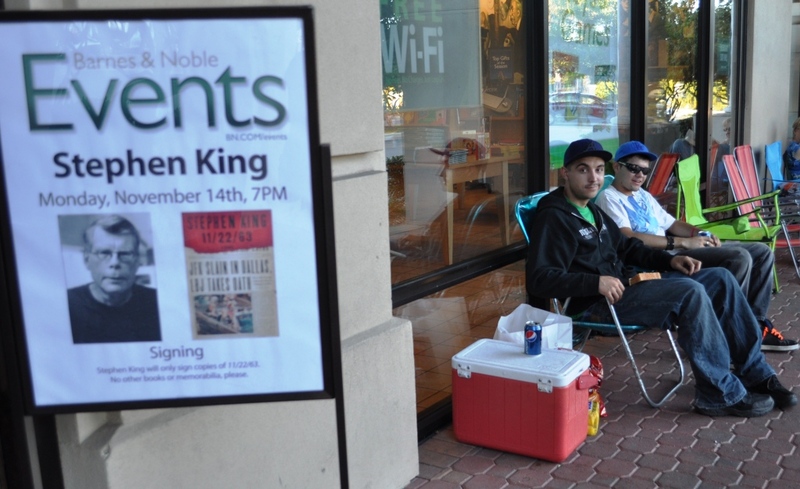 Barnes & Noble in Sarasota will release 800 wristbands at noon on Monday, Nov. 14, for the 7 p.m. Stephen King book signing that day but just after 4 p.m. on Sunday, seven people already claimed their place in line. Mr. King, a seasonal Sarasota resident, is promoting his latest novel, 11/22/63 and as I discovered, people have traveled from afar for different reasons to grab an autographed copy of the King of Horror’s newest book. I met four of the seven people who already set up camp outside the Barnes & Noble. The other three were taking a break to watch football at a local sports bar. 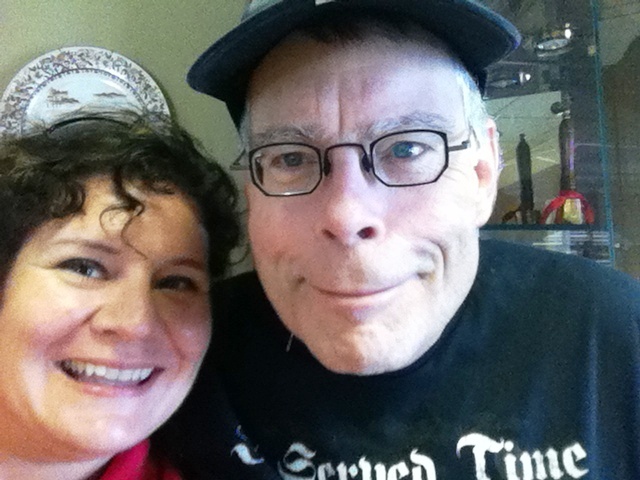 A husband and wife couple, who wished to be anonymous, traveled from the Atlanta area for an opportunity to meet Stephen King. She said she’s been a fan since the 1990s when she first read The Stand and she got her husband hooked on the author. They shared how they paid a visit to Mr. King’s Maine house and were told if he comes out, don’t run away. The author apparently is curious about his fans and wants to meet them rather than chase them away. Mr. King was attending a Boston Red Sox game during their visit so they did not meet him. The husband was definitely a fan and collector and rattled off a list of signed copies of books and limited edition memorabilia he has gathered over the years. He even showed me a dollar bill with King’s picture in the center. King is scheduled to appear in Atlanta on Dec. 14 and they plan on attending that signing, too. Matt Klann and Jace Conger drove 21 hours nonstop from Kansas City to be first in line for Monday’s book signing. They arrived at 12:30 p.m., just shy of 24 hours before wristbands will be issued. Are they King fans? Not really. A family member asked them to attend the event and the young entrepreneurs plan on selling the books. It’s their first time camping out for a book signing and they’ve come prepared with a cooler stocked with food. Once they pick up their wristbands at noon tomorrow, they can sneak away for a nap until the signing. What does an autographed Stephen King book go for? All four agreed about $250 for a newer book and much more for an older one. What about bathrooms? Everyone plans on using the bookstore’s restrooms until it closes at 10 p.m.
Not sure if I’ll be able to attend Mr. King’s book signing in Sarasota and I don’t find it odd people have traveled from across the country to attend. 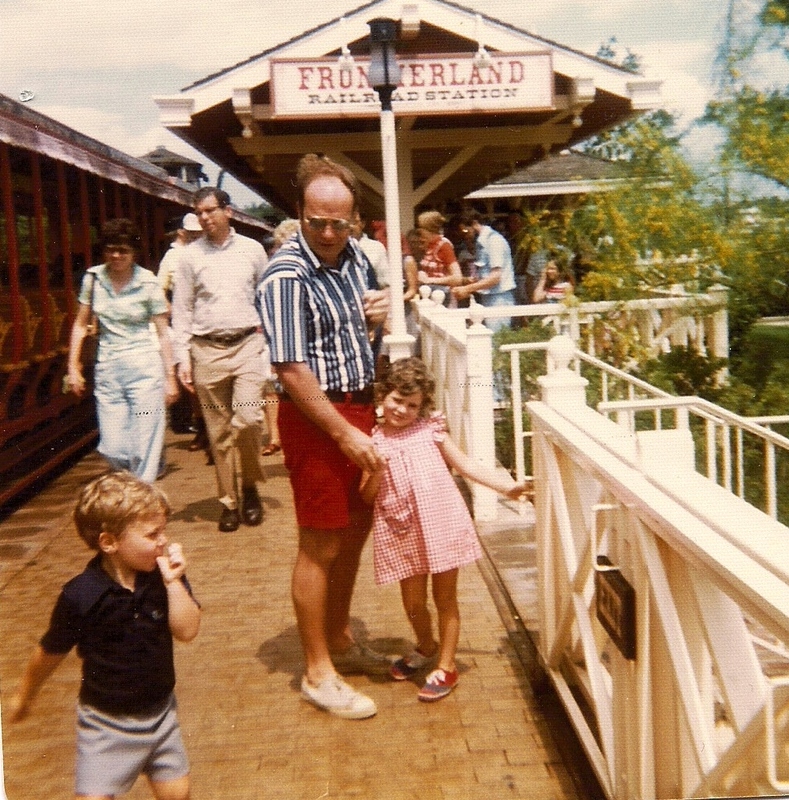 After all, I’ve flown to a New York book festival, stood in line in Tallahassee for a personalized copy of The Cell, saw him in Sarasota when he was promoting Under the Dome at the Van Wezel, and had a chance encounter with him at a Sarasota car dealership. Despite all these encounters, I never tire of what he has to say. 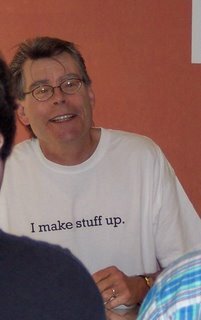 I could always use a good infusion of Stephen King. 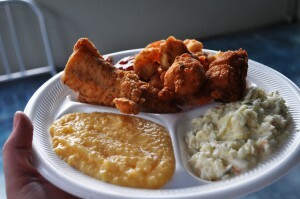 It’s good for the soul. Planning to Attend Stephen King’s Book Signing in Sarasota? Wristbands will be issued beginning at noon Monday, Nov. 14, at Sarasota’s Barnes & Noble (4010 S. Tamiami Trail; Tel: 941-923-9907). Up to two (2) wristbands will be issued per person on a first-come, first-served basis. A Barnes & Noble or BN.COM receipt for 11/22/63 must be presented in order to obtain a wristband. Only one copy of 11/22/63 will be signed per person. No flash photography, no personalizations and Mr. King will not sign any other titles or memorabilia. Visit the Sarasota Barnes & Noble website for additional information.